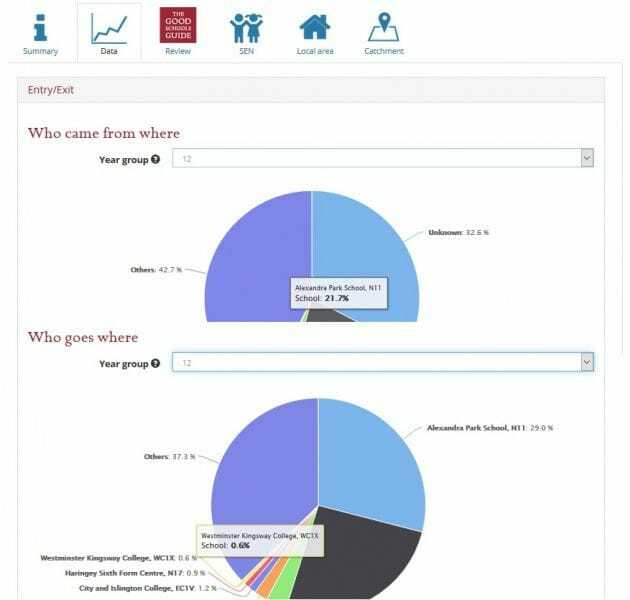 The school data we publish comes from a number of government sources and, because of the effort involved in collecting and collating this information, is typically made available to us in the year after it is collected. We therefore refer to data by the year in which it was collected – this may not be the current year but it should be the latest available. 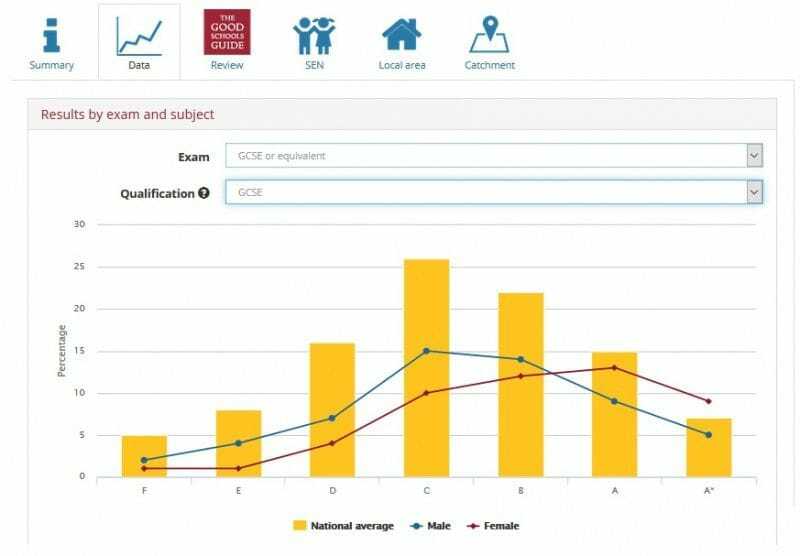 Percentage with > 4 A* to C GCSE grades incl Maths & English - the percentage of pupils who achieve more than 4 GCSEs at grade C and above. Value added - how well individual pupils do at Key Stage 2 / GCSE relative to their academic attainment when they began that stage of their education (ie at Key Stage 1 for Key Stage 2, and Key Stage 2 for GCSE). This way of assessing pupils' performance takes into account factors such as ethnic and social background. Points per pupil - a measure of the total volume of exams done by pupils, combined with their success. Average point score per entry - indication of the average points achieved at an institution. Key Stage 2 - SATs or Standard Assessment Tests taken in year 6. 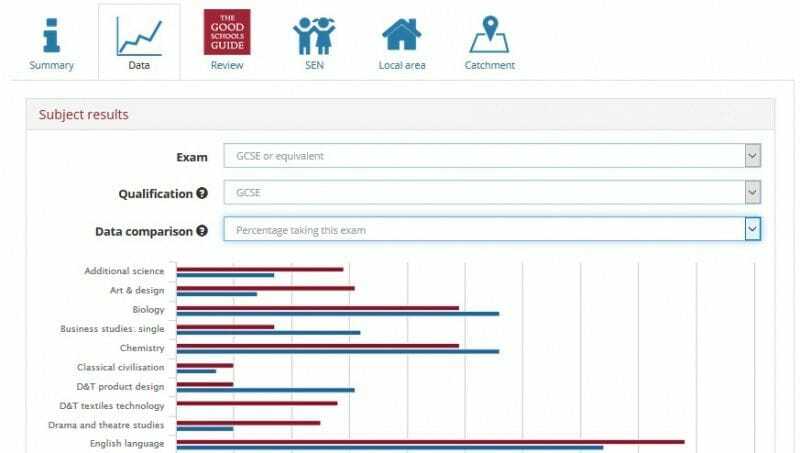 KS2 Teacher assessment - covers English and maths and looks at pupil's performance over a longer period of time. GCSE - a qualification in a specific subject typically taken by school students aged 14–16, at a level below A level. The equivalent in Scotland is Standard Grade. Percentage taking this exam - The actual number pupils taking a subject. All the other measures mean little if they relate to a small number of students, so we bias such results back towards the average. Relative popularity percentage - Subjects which are consistently well taught become popular over time, as pupils gravitate towards them. We measure the popularity of each subject relative to similar schools which offer that subject. 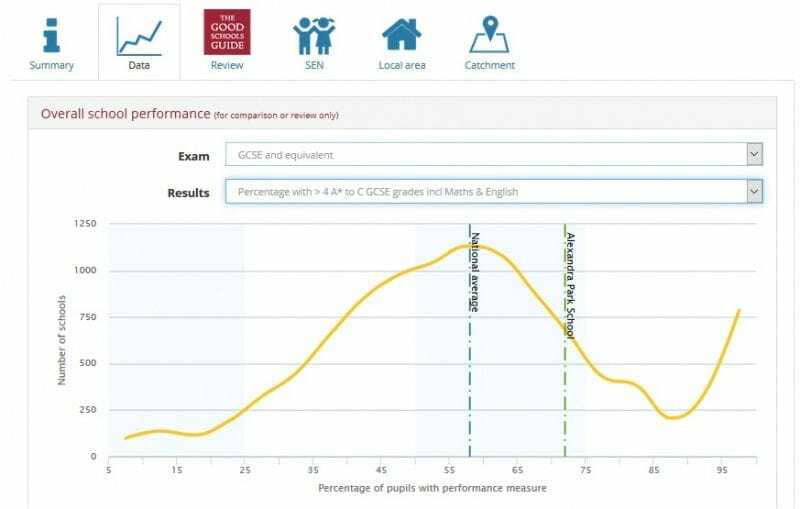 Relative success percentage - We compare the performance of pupils in each subject with the grades that they got in all the other subjects that they took. Weighted grade AB Percentage - We weight top results - 3 points for *, 2 for A, 1 for B - and average the result. % of pupils - indicates the percentage of pupils in this school (at the beginning of the Year Group that you have chosen) who came from each of the listed feeder schools. Others - includes all schools who send fewer than 4 pupils each to this one. Unknown - pupils whose previous school is unknown to us. Common reasons include pupils new to the English schools system, pupils who have taken a year (or more) out of school or pupils who previously attended independent schools. Where a school has several main years of entry - such as year 7 for the main secondary entry and year 12 for entry to sixth form - you will see the school listed as receiving pupils from itself in the later years of entry.